Environment Canada has issued snowfall warnings for much of central and northern Alberta. Environment Canada has issued snowfall warnings for parts of central and northern Alberta. 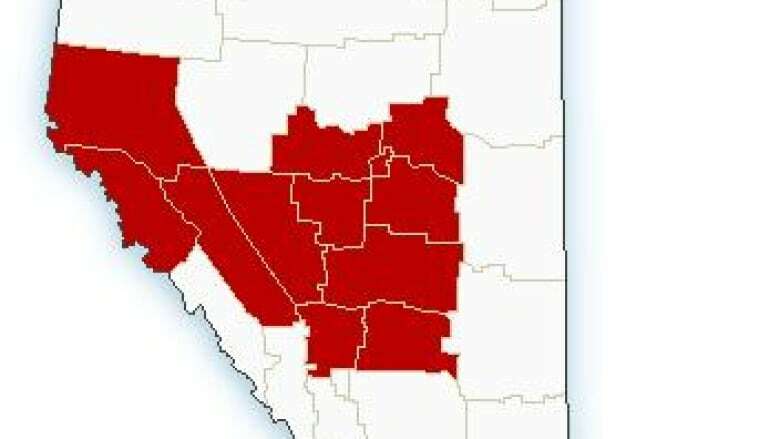 The warnings extend from the Fort Saskatchewan - RedWater area to Drumheller - Three Hills and some areas in western Alberta including Grand Cache and Jasper National Park. The Edmonton region can expect between 10 and 20 centimetres of snow by Friday afternoon. "An area of heavy snow has developed through central Alberta including portions of the mountain parks," the warning from Environment Canada says. "This area of snow will continue to expand overnight through the warned regions." According to Environment Canada, the Sundre area has already recorded 15 cm as of 10 p.m. Heavy snow is expected to taper off by Friday afternoon. A full list of weather alerts is available on the Environment Canada website.